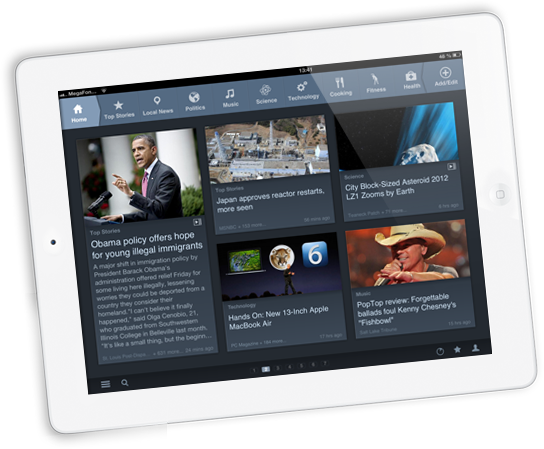 Introducing a brand new, redesigned News360 app for your iPad! 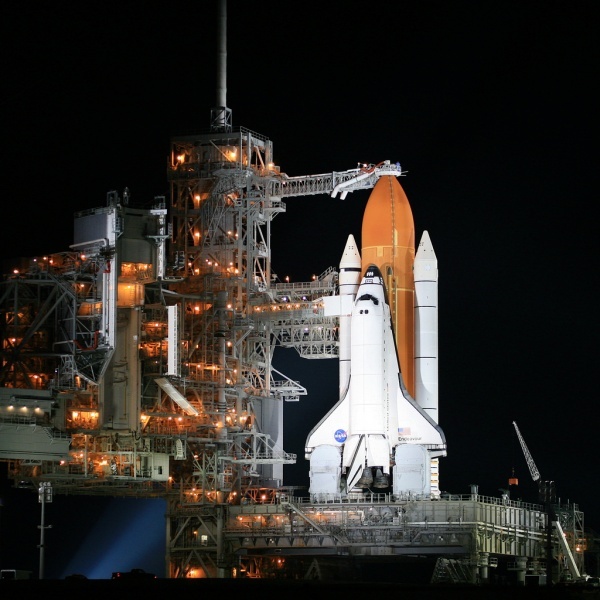 The News360 team has been excitingly looking forward to the Consumer Preview of Windows 8. 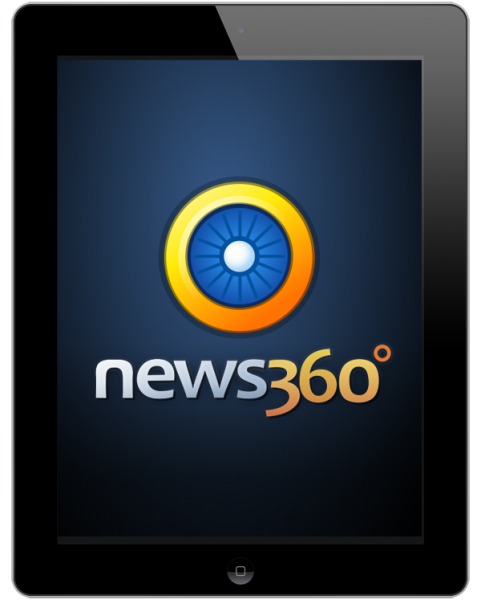 Now that is has recently been released for download, we are even more excited to announce the News360 Windows 8 Beta release as part of the Consumer Preview! Check out the first stop of our app using the Metro UI: Stay tuned for a full press release. 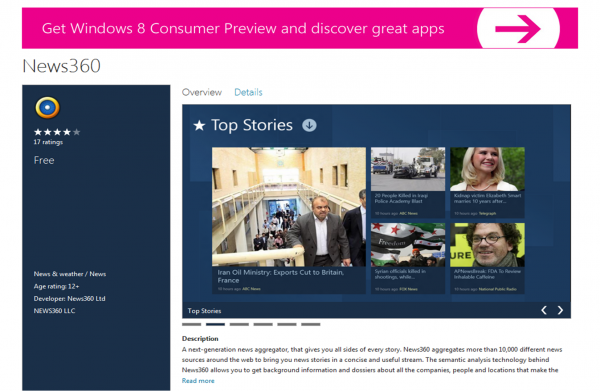 Until then check out News360 on the Windows 8 Consumer Preview here and tell us what you think!